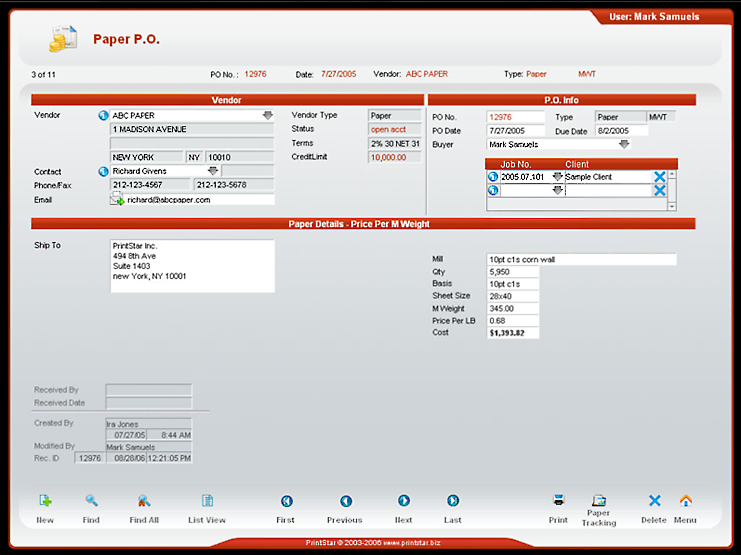 Create PO’s for paper or other general supply needs. Easily link PO’s to any Job. Non Specific – enter description and price.